The 2010 Northeast Leaders' Conference will be held at the Ramada Hotel and Conference Center at 1380 Putney Road in Brattleboro, Vermont on January 8, 9 and 10, 2010. Hotel reservations must be made with the hotel at (802) 254-8701 no later than JANUARY 1, 2010; be sure to mention Vermont State Grange when reserving. They have been able to arrange for a block of rooms at special rates of $79.99 plus tax, double occupancy, with buffet breakfast on Saturday and Sunday included. Registration fee for the conference will be $10 per person and all attendees must register. Dinner Friday is "on your own", but there will be a deli luncheon buffet and buffet dinner on Saturday. Breakout sessions will include Agriculture/Legislative, Home Economics, Lecturers, Youth, Juniors, Service, Chaplains, Information/Websites, as needed, and the New England Grange Building Trustees. The full schedule will be announced when it is finalized. 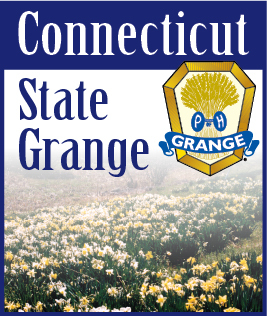 For more information, please contact Errol C. Briggs, Master of the Vermont State Grange, P.O. Box 90, Barre, VT 05641-0090.